If you think you have what it takes to start a security business, these five steps should help take you from the idea stage to a business launch. Internet technology (IT) security is a hugely popular and growing field, but it will require highly specialized skills and training. Providing home security alarms and monitoring services will help homeowners sleep better at night. This type of business also requires relatively low startup capital and generally allows you to work from a home office. Contracting with medium to large office buildings to provide security services will require largely the same skill set as a home alarm business. Be prepared, however, to purchase substantially more equipment upfront and hire a crew of skilled installers. 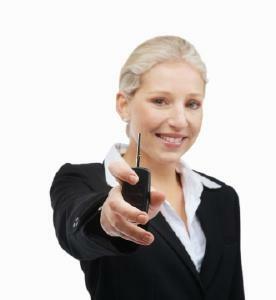 Offering security guard services is another way to go. This will require the hiring and training of specialized personnel. One component you may choose to incorporate into your business is the secure destruction of sensitive documents. There is more than one way to become the owner of a security business, and each avenue has its own set of pros and cons. With this option you may acquire an existing customer base, a reputation that took years to build, inventory, and perhaps a lease or real property. This option will not come cheaply. Signal 88 Security is one of the fastest-growing franchises, according to Entrepreneur. The company has been in business since 2003, and it offers patrol and guard services as well as virtual monitoring. Franchise owners also have access to proprietary software. The total investment to get started ranges from $68,000-$110,000. Currently there are 92 locations in the United States. The AmeriCop franchise has been in business for more than 10 years. Owners hire off-duty police officers to protect clients' locations and events. The franchise provides payroll services, scheduling, and insurance to its owners, as well as marketing materials and other back office processes. Startup costs range from $50,000 to $64,000. If you want to support employers, landlords, or even law enforcement agencies, Background Screeners of America (BSA) might be a good fit for you. Typical startup costs are less than $20,000, and franchisees receive substantial marketing and database support from the home office. If you want complete control and freedom to run your business your way, without external constraints, building your own business may be the way to go. Every decision, from incorporating to designing business cards, is your call--and your responsibility. Expect lower startup costs than with the other two options, but be prepared to invest plenty of sweat equity. Arizona requires security companies and their employees to be trained and licensed through the Department of Public Safety (DPS). Security personnel in California must complete a 40 hour training course and pass background checks conducted by the California Department of Justice (DOJ) and the Federal Bureau of Investigation (FBI). Security businesses and personnel in Georgia must be licensed through the state's Board of Private Detective and Security Agencies. Alabama, Idaho, Kentucky, Maine, Massachusetts, Michigan, Minnesota, Mississippi, Nebraska, Pennsylvania, South Dakota, and Wyoming require no permits or licenses to operate a security business. Check with the Office of the Attorney General in your state learn about specific requirements. Determine the expected profitability of your security business, based on local need. Analyze the competition to learn whether there are enough potential clients in the marketplace to sustain your business. Shop your competitors' pricing and review their marketing materials, including their websites. To estimate these costs, contact local insurance companies to inquire about liability coverage. Research and develop security contracts with clients. Price out the cost for equipment you plan to provide, including uniforms, weaponry and supplies. Contracting with your initial customer base is an important step for any start-up business. Cold calling and establishing a website will help. You will also need an effective marketing plan designed to attract your specific type of clientele. Freelancing in the security business is a good way to establish contacts. Consider the value of a launch event. Identify opportunities to network with potential clients. Obtain a state tax identification number (TIN). This registers your business with your state and allows you to establish bank accounts. Visit the Attorney General website for your state to accomplish this task. Obtain an employee identification number (EIN). This establishes your business with the Internal Revenue Service and allows you to hire people. Open a bank account under your business name. It is essential that you keep business and personal finances separate. Determine how you will process payments. Decide whether you will invoice customers, accept checks, or take credit cards. If you take credit cards, consider recurring billing for regular customers. Decide how you will manage payroll. Most major banks and many business software accounting systems offer payroll services or modules. Walking through these steps should provide you with a clear direction, a comprehensive plan, a budget, and a marketing strategy, as well as some guidelines for performing specific tasks. With clear goals and processes identified, now it's time to invest the resources that will breathe life into your security business.